Is Audi's A6 model guilty of cheating on emissions tests? German luxury carmaker Audi on Tuesday said it had detected "irregularities" in the emissions controls of recent A6/A7 models, prompting it to halt deliveries in the latest twist in the "dieselgate" scandal dogging parent company Volkswagen. Audi's admission came after Germany's transport ministry said the KBA vehicle licensing authority was investigating suspicions the carmaker had installed a new "illegal defeat device" in some 60,000 A6/A7 models worldwide. The revelations were first reported by news weekly Der Spiegel, which said mass recalls were "highly likely". Around half the affected cars were sold in Germany. According to Spiegel, the cars contain software that deliberately slows down the use of a special pollution-neutralising fluid in the final 2,400 kilometres (1,500 miles) of its life span, to avoid drivers having to refill the so-called AdBlue liquid in between regular service updates. But reducing the AdBlue function also drastically lowers its effectiveness in neutralising the engine's harmful nitrogen oxides emissions, making the diesel cars far more polluting during that time. It is the latest diesel headache to hit the Volkswagen group, still reeling from last week's bombshell that former CEO Martin Winterkorn has been indicted in the United States for his role in the "dieselgate" emissions rigging scam that has engulfed the group since 2015. 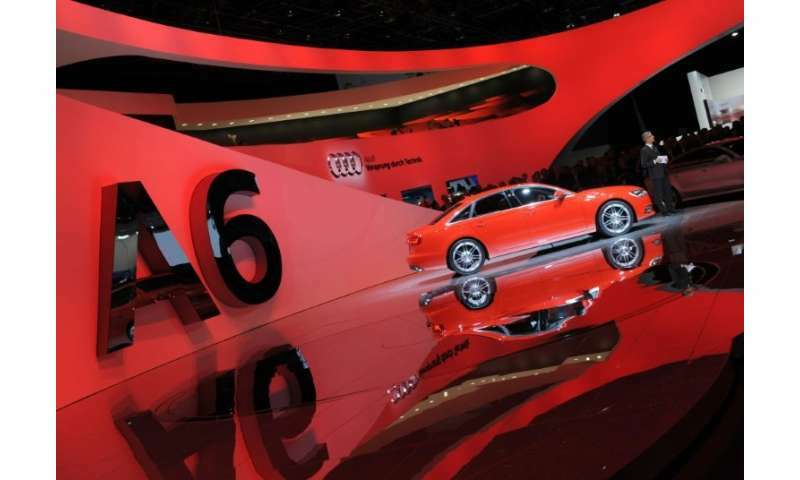 Audi, a VW subsidiary, said in a statement that it had itself reported the A6/A7 irregularities to the authorities as soon as they were detected in routine testing and "immediately halted deliveries" of those models. Audi chief executive Rupert Stadler said the company had taken swift action "because full disclosure lies in our highest interest". Customers would be notified and offered a software update, Audi said. It added that it would cooperate with the inquiries launched by the KBA transport authority, which earlier said it had asked Audi for clarifications. 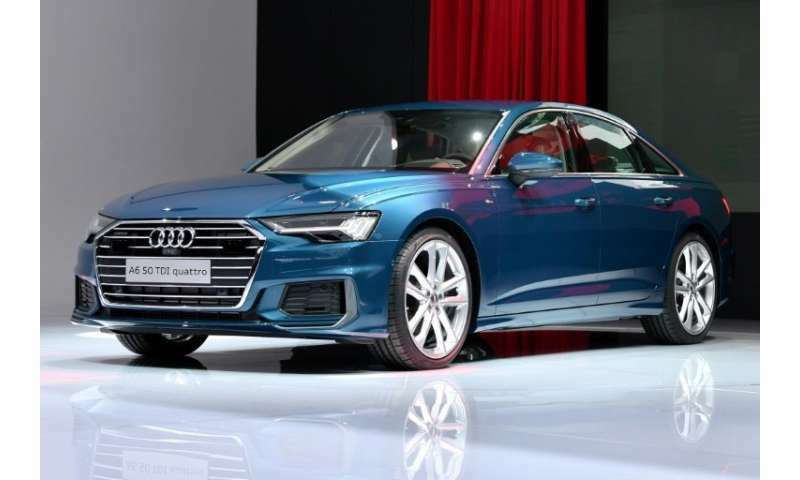 Audi chief executive Rupert Stadler says "full disclosure lies in our highest interest"
It's not the first time the German car industry has been accused of AdBlue tampering, with Daimler and Volkswagen both facing the threat of recalls over similar accusations in February. The alleged AdBlue scam differs from the one that sparked Volkswagen's "dieselgate" crisis, which involved software installed in some 11 million diesels globally that could detect when a vehicle was undergoing pollution tests and reduce emissions accordingly. Outside the lab however, the cars were vastly more polluting, spewing up to 40 times more toxic gases than legally allowed. The scandal, which involved VW's own brand cars but also those made by Audi, Porsche, Skoda and Seat, has so far cost the group more than 25 billion euros ($31 billion) in buybacks, fines and compensation, and the company remains mired in legal woes at home and abroad. Earlier Tuesday, German daily Bild reported that VW boss Herbert Diess travelled to the United States on May 1 where he met with investigators from the FBI and justice ministry probing the dieselgate scam. Two days later, Winterkorn was indicted on charges that include conspiracy to defraud the US and wire fraud. American prosecutors believe Winterkorn, who resigned days after the cheating was made public, knew of the cheating as early as May 2014 but decided to continue with the fraud. Winterkorn has always denied prior knowledge and is unlikely to end up in US custody as Germany doesn't have an extradition treaty with the Washington. According to German media, Diess himself won assurances from US authorities that he is free to travel to the US and elsewhere and that they would inform him in advance if he were to be charged or if any arrest warrants against him were issued. A Volkswagen spokesman declined to comment on the reports when contacted by AFP. These companies NEED to get NAILED for $100 Billion global fine ! which should be immediately spent on Wind, Solar, Sea Turbines and other Green Energy Technologies. Time to Eliminate Diesels altogether and SOON !